While the future of Vermont Yankee remains firmly in doubt, the owner of the nuclear power plant is moving forward with a $60 million refueling this fall. The plant’s operating license expires in March. New Orleans-based Entergy Corp., which is in a legal battle with the state over the future of the Vermont Yankee plant, said the company’s attorneys felt they would eventually win its legal battle with the state. Earlier this year, the Nuclear Regulatory Commission (NRC) issued Vermont Yankee a 20-year license extension that would allow the plant to remain open until 2032. But the state, which claims it has jurisdiction over the plant’s operation, wants the plant to close and has so far not acted on a state certification it says is needed for Vermont Yankee to remain open. Entergy’s lawsuit challenging the state should go to trial in September. Vermont Yankee's owners are scheduling a refueling despite the potential for the plant not getting a license renewal. Saturday was the deadline for ordering the fuel rods for the refueling, scheduled for October. 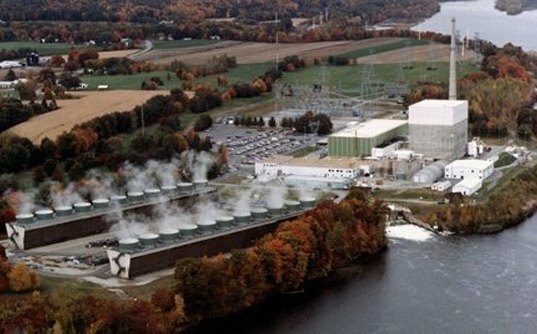 Vermont Yankee said during a typical 30-day refueling outage, they replace about 120 fuel assemblies, or one-third of the reactor core. While the refueling is under way, about 5,000 other maintenance chores occur, which can only happen with the plant shut down.